Bradley isn't a fussy eater at all, but there are a handful of things that he just refuses to eat. Bananas (unless they're made this way) and carrots top that list. So if I can find a way to sneak these foods into something he does like...well, then we're getting somewhere. Bradley and I sometimes meet my mom and her friend Jocelyn for lunch at La Madeline during the week. Bradley is a big fan of the Quiche Lorraine there, so I knew he would love frittatas since they're basically the same as a quiche but without the crust. 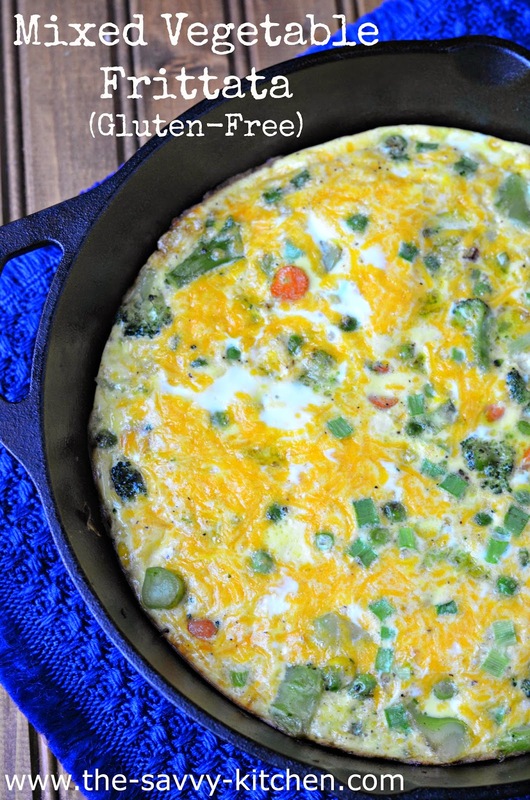 I threw peas, broccoli and corn into the frittata since I know he loves those, but then I also snuck in some carrots. He had no idea and pleasantly ate an entire piece. Chris and I were huge fans of this easy dish as well. This is one to keep in your recipe binder since the veggies are interchangeable and it's an instant hit. Enjoy! In a 9-inch ovenproof skillet, add oil over medium heat. Add peas, broccoli, corn and carrots and cook for 5-7 minutes or until tender. Meanwhile, in a medium bowl whisk the milk, eggs, salt and pepper together. Stir in the scallions and cheese. 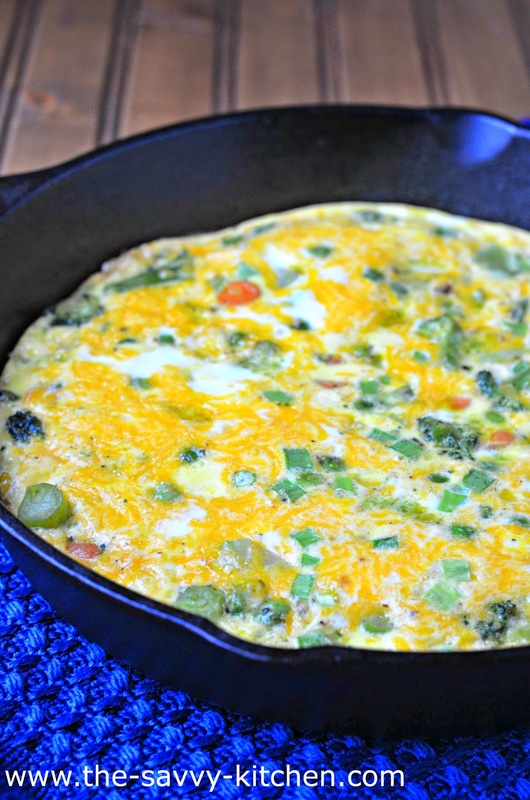 Once vegetable mixture is done, add the egg mixture to the skillet. Let cook for 1 minute or until edges begin to set. Bake in the oven for 15 minutes or until completely set. Cut into wedges and serve. 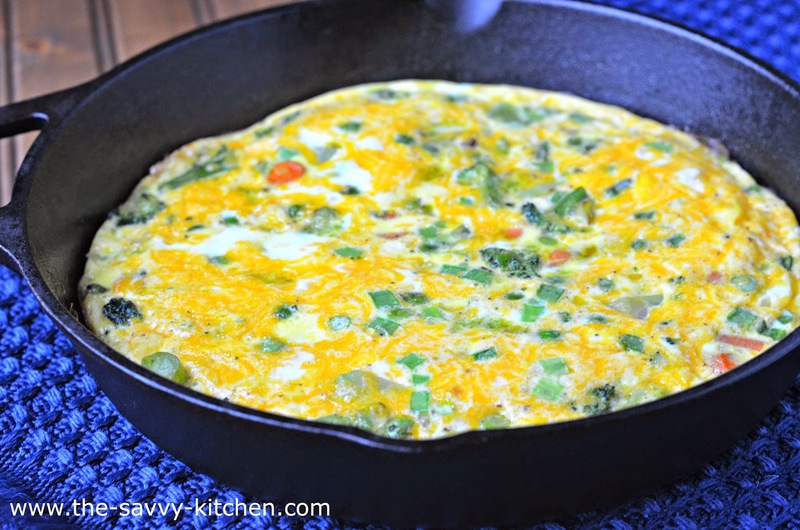 Frittatas have become a go-to dinner option since I went gluten free. This looks delish!